Selection of sandwiches in freshly baked, thick cut Artisan loaf breads, wraps and individual mini quiches. Our working lunch and buffet delivery are perfect for Corporate events as well as Private parties and Weddings. Our drop-off buffet delivery services makes entertaining easy. The packed full of flavours, freshly made sandwiches, finger food and sweet treats are freshly prepared. 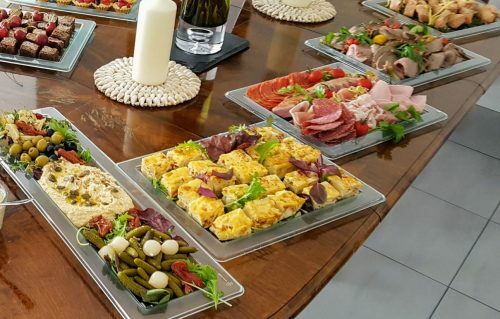 They are beautifully presented on glass look and slate look platters; to suit your budget, taste and occasion. For your one-off event to weekly or monthly meeting, the food will be “Delicious” – Kirstin in Hove.